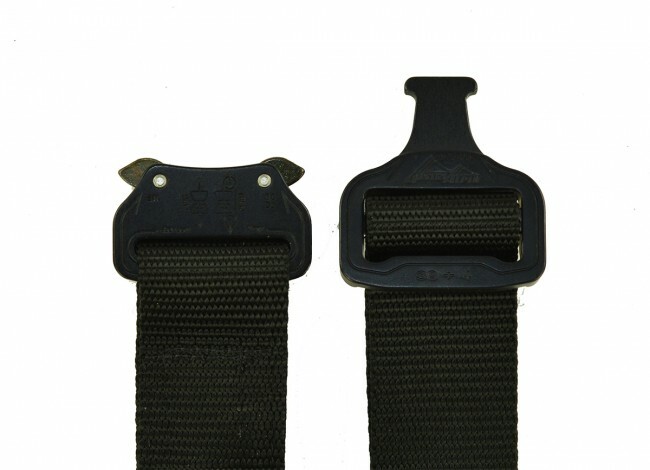 Mil-Spec nylon webbing with the only approved Special Operations quick release buckle in the world. This buckle will never release while under load. 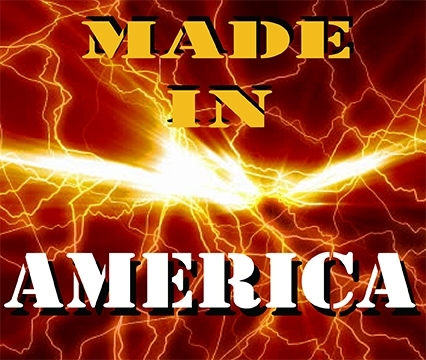 The Cobra buckle is the only stab-lock style fastener in the safety products market. This is the best quick release buckle on the market. 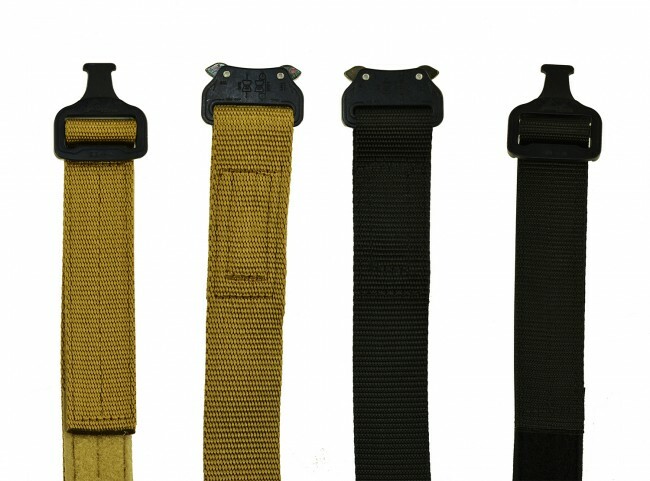 These tactical gun belts are offered in three colors – black, OD Green, and Coyote Tan. The buckle is offered in black only. 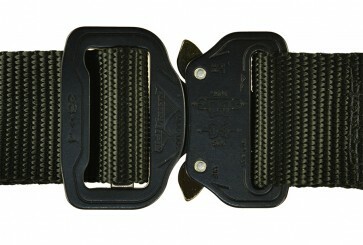 The belt size is 1.5” and will complement our Kydex and Hybrid lines. 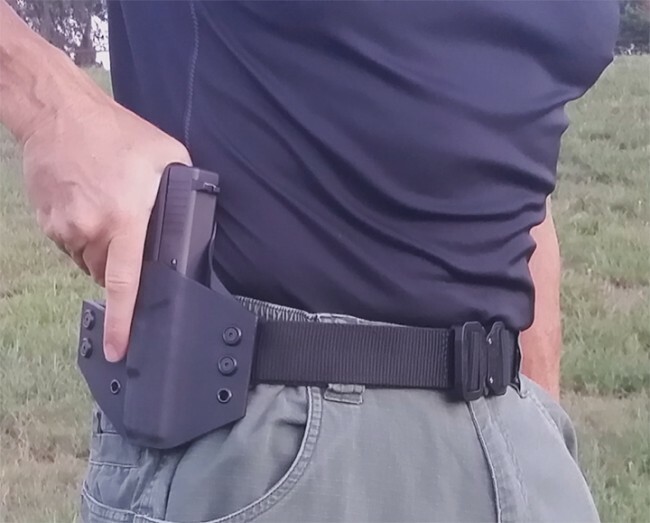 This belt is reinforced to create a more rigid belt for those who want a stiffer belt to fully secure the holster and handgun against the body. 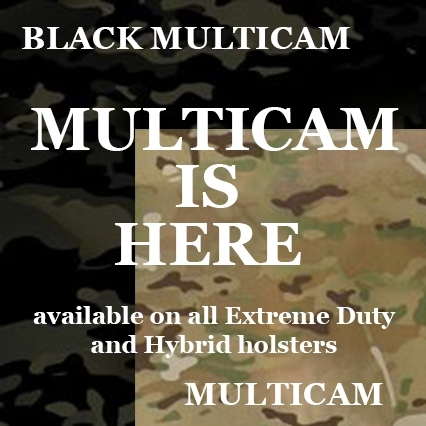 There are hundreds of tactical belts on the market but we have combined the best buckle with the best nylon weave on the market to bring you the best tactical gun belt on the market. Wait! We do not have your size? 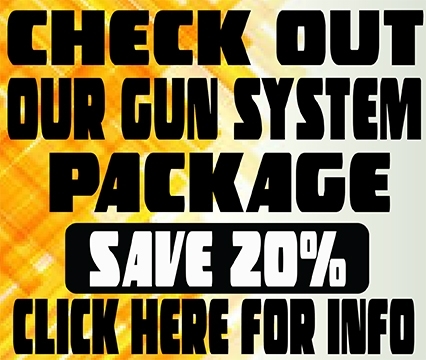 Call – 727-939-2701. Custom orders available. 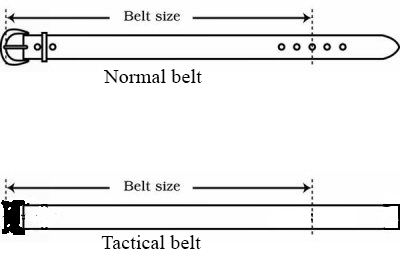 Simply measure an existing belt that you use. From the hole you use on the belt to the end of the belt (including the buckle). Take that number and add 2 inches. This number is the correct size that you need to order and will be the middle where you fold back the belt and secure it with velcro. This will allow you approximately 2" of adjustment either way. You will have room to both tighten the belt, if needed, or to loosen it a bit. 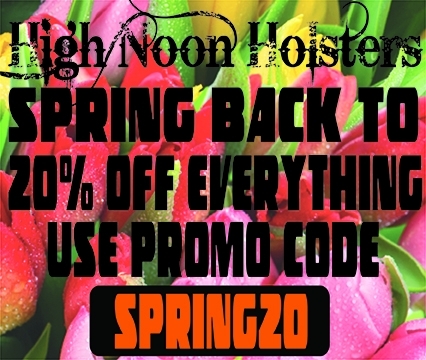 This will usually suffice for an inside the waistband holster or a belt holster. 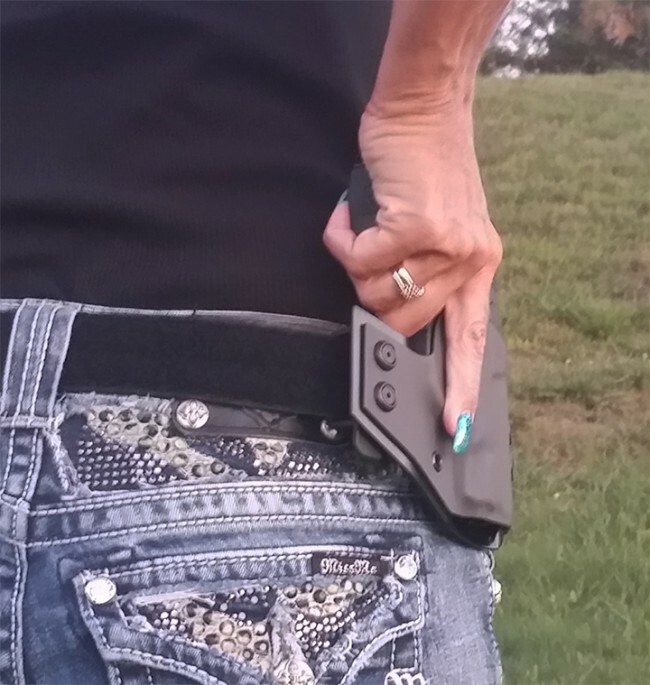 Remember when wearing a belt holster, the belt is going in and out of holster slots and an IWB is taking up extra room also. ALSO, more belt is better then less so if you need to add another inch or two!